Spiegel & Grau, 353 pp. Those who've read Yann Martel's 2002 Man Brooker Prize-wining The Life of Pi know that he thinks animals communicate with humans in deep, unspoken ways. That theme was evident also in his third book, Beatrice and Virgil, and it's repeated in The High Mountains of Portugal. This one has been highly praised by critics, but I found it a work with more valleys than peaks. Martel is a hard-to-categorize writer as his work has elements of magical realism, but doesn't really fit that bill. In his latest, it's often hard to know whether Martel is spinning fantasy, metaphor, allegory, or just cloaked self-indulgence. High Mountains is decidedly a meditation upon grief, belief, solitude, faith, anguish, and mystery. Its structure is that three interlocking novellas, each set roughly 30 years apart. I was amused by the first, baffled by the second, and mildly touched by the third, though the last felt contrived. It centers on three men, each of whom has lost a wife. Each is going through the motions, but is essentially an empty husk from which meaning has been wrenched. Empty vessels, of course, can be refilled. Sort of. Part one is set in 1904, and its protagonist, a Portuguese museum curator named Tomàs, is so damaged by the death of his wife and son that he walks backward everywhere he goes–as if he's literally turning his back on God. Purposefulness of a sort comes reenters his life when he discovers a medieval diary from an obscure priest that mentions having deposited a great treasure at an unspecified chapel in the High Mountains of Portugal. Already Martel is having us on a bit, as his "high mountains" are not the Serra da Estrela of central Portugal, rather in the far northeast corner of Portugal near Bragança and the Spanish border, which is a grassy plain that Martel populates with oddly shaped boulders. Tomàs decides to find the treasure, with the vague goal of brining it back to the museum and with the implied goal of perhaps restoring his faith. He prevails upon a rich relative, who loans a 1904 14 hp Renault, one of the first motorcars seen in the country, though Tomàs hasn't the foggiest idea of how to operate it and there are few paved roads outside of Lisbon. I enjoyed this part of the book tremendously. Let's call it an eventful journey–and a very funny one to boot, despite a tragedy at its heart. Without giving away a thing I tell you that neither the fate of the car nor the treasure is expected. I also enjoyed this section because of Martel's precise geographical descriptions of places I've actually been. None of this prepared me for part two, set in 1938, where Eusebio, a pathologist and Agatha Christie enthusiast, holds imaginary debates with his deceased wife. This sad, but familiar ritual is interrupted by an ancient woman who comes to his lab carrying the body of her dead husband in a suitcase and demands an on-the-spot autopsy, which she insists upon witnessing. Shall we say that the grand opening unveils unexpected things? Part three unfolds in the late 1960s, where a widowed Canadian politician, Senator Peter Tovy, engages in an ambassadorial visit that takes him to an Oklahoma primate research center. Within weeks he decides to resign his post, purchase a lab chimpanzee (Odo), and move to a village in the High Mountains of Portugal, where he and Odo share a house and are treated as residents. This section is also amusing and affecting, but it feels like a forced completion of a triptych. The ending, I presume, is allegorical, though I'm not sure of what. That ending is one of several things that feel self-indulgent. Chimps factor into all three sections, but why? Are we supposed to see humans as thinly haired primates so lost in their own self-centeredness that they have lost sight of what is of value? Muse upon our curse of living in the past rather than the present? Think upon the uneasy relationship between nature and faith? Reflect upon the curse of grief? Conclude that Nietzsche was right about God? Or do I give Martel too much credit? 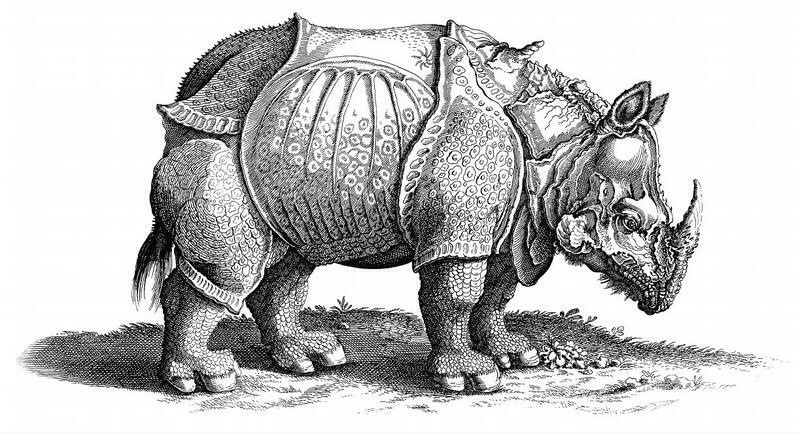 The book also contains references to the Portuguese rhinoceros, but these make no sense at all other than the fact that wooly rhinos were there 150,000 years ago. 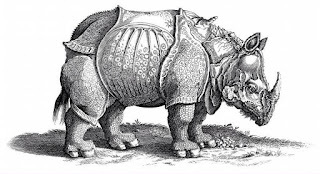 Martel's ploy is more likely either a reference to a sketch made by Albrecht Dűrer in 1515, or to the gift of a rhino made to King Sebastian in 1577. If this sounds to you like thin soil for a metaphor, I'd agree. 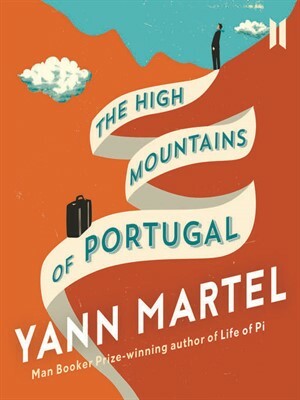 Overall, The High Mountains of Portugal reads too much like an author penning thoughts for himself rather than an external audience.